Code is in our DNA. It is the competence of our software developers, infra-as-code engineers and data scientists, and ensures that we can solve complex projects for our customers. But code is not only important within our world. It’s everywhere. From automatic street lighting and apps that can turn on the heat at home from a distance to small colour-changing LED lights. All technology is powered by code. Like a language that everyone should speak. To introduce kids to code in a fun way, we organized a coding challenge for kids on Wednesday afternoons in October. It was not only fun for children, but for their parents as well. After all, you are never too young or too old to learn. Especially where software is concerned! 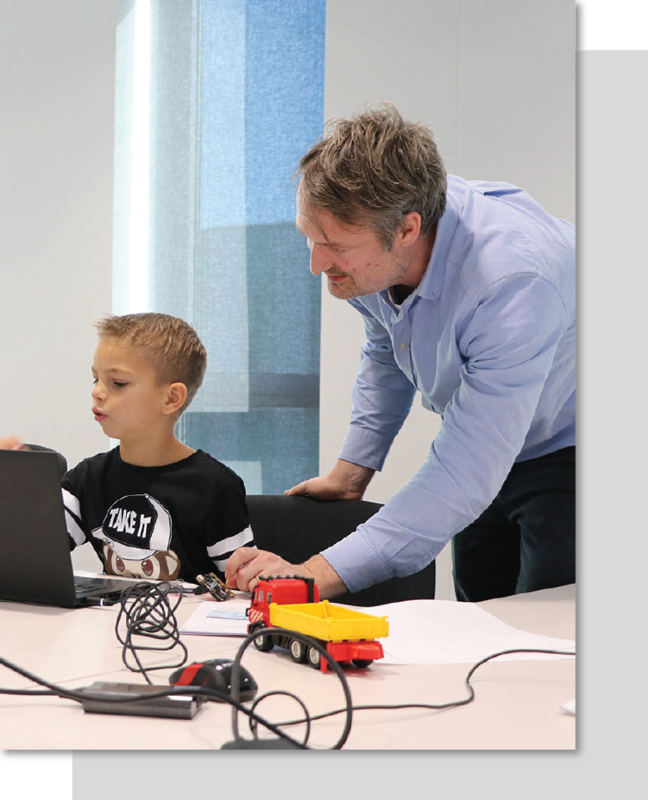 With the help of a micro:bit and several challenges we showed kids around in the world of code. Using building blocks, they could make all kinds of cool gadgets out of this miniature computer. For instance, we conducted a crash test with toy cars where the challenge was to sound an alarm. But we also transformed a toy truck into a Kitt-like Knight Rider truck. Including the necessary light and sound effects. Imagine it and build it, everything is possible.